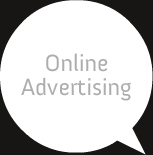 The term online advertising is simply a term that relates to advertising online, or advertising over the Internet. In practice online advertising is about getting your website in front of the people who are interested in your product or service. All you have to do is find the best terms and phrases that people search for who would like to purchase exactly your goods and services. If you can do this then your online advertising will be successful, however, if you select the terms and phrases that do not relate to the goods you are selling then your keyword based online advertising efforts will likely fail. It really is as simple as that.